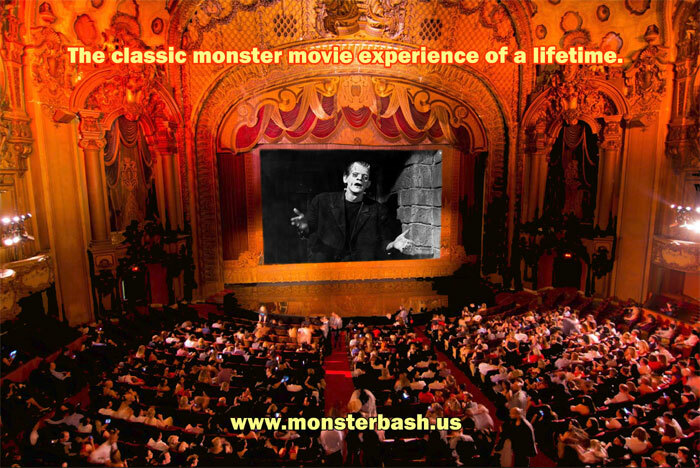 The Monster Bash in October of 2017 was a Frankenstein Film Festival at The Palace Theatre in Canton, Ohio. 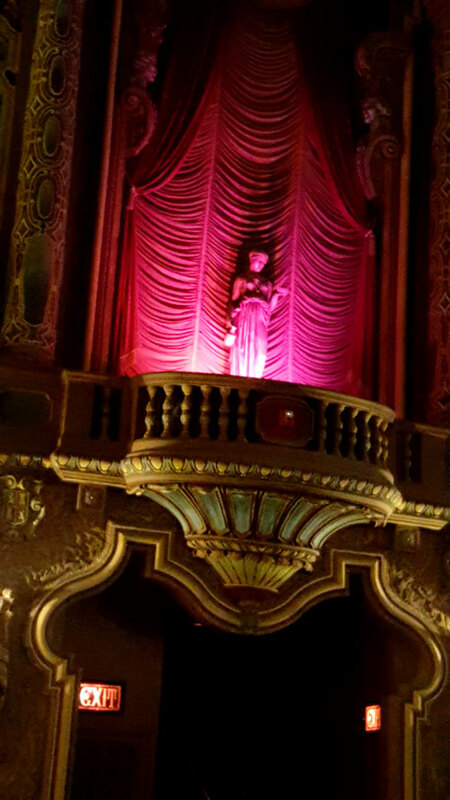 A grand, restored movie palace that wowed fans of classic films. Actor Martin Stephens made a special appearance, as well as TV's Son of Ghoul and writer Frank Dello Stritto. 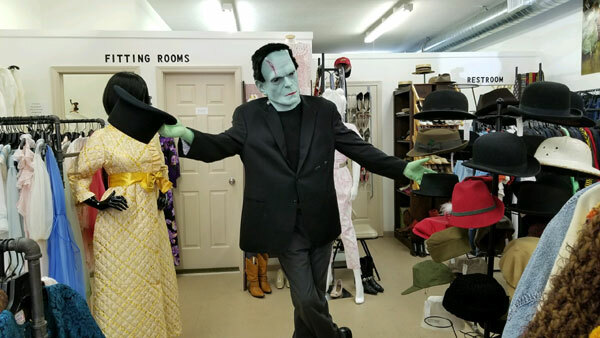 A great selection of Monster Bash vendors appeared, including Scary Monsters, Terri Mount Movie Monster Clothing, Christopher Fye - sculptor, Author Brad Braddock, Holy Hounds, Leonard's Lair of Loot, Bob's Bin of Bargains...and, of course, show sponsor Creepy Classics. Photos provided by Ron Adams, Leonard Hayhurst, Mark Wilhelm, Paisley Adams and Ted Lewczyk. Above: The first floor of The Canton Palace Theatre! 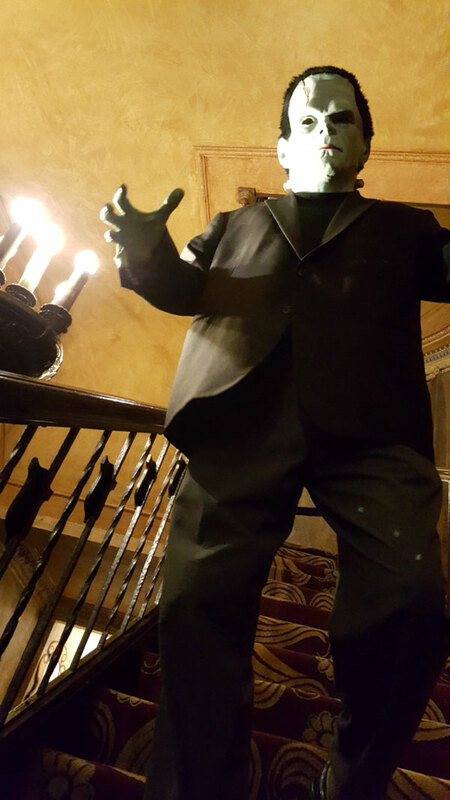 Above: The monster greets attendees at MONSTER BASH OCTOBERFEST. 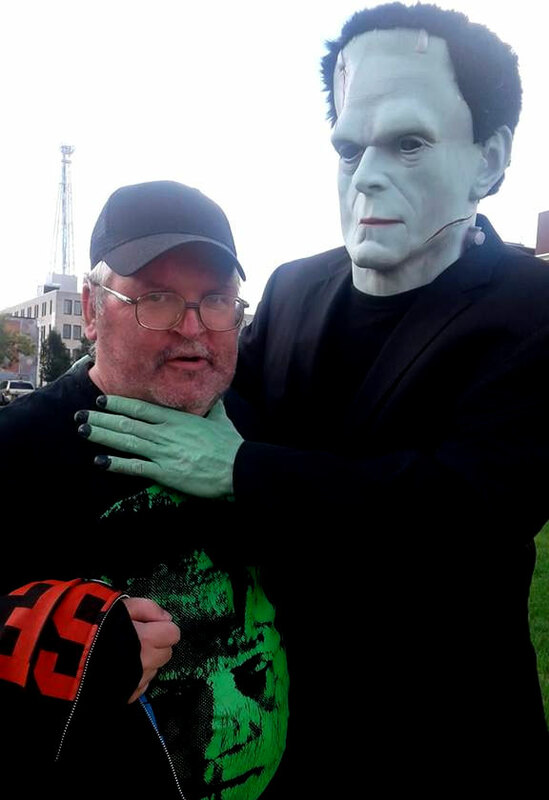 Above: Each day before screenings started at the theatre, we set the Monster loose in downtown Canton, Ohio. Here he found a clothing store and tried on a top hat! 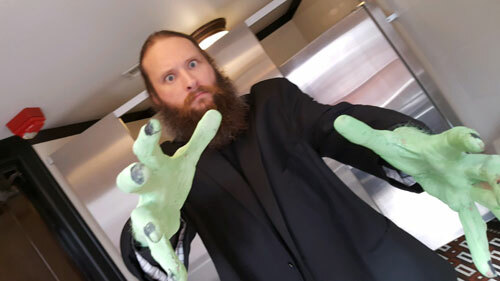 Above: Dan Weber getting made-up as The Monster, mugs for the camera. Above: Authors swap books! 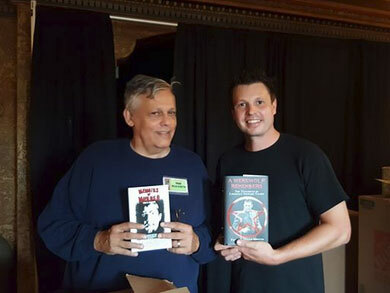 Frank Dello Stritto holds Brad Braddocks book MEMOIRS OF MURDER (the prequel to WHITE ZOMBIE!) and Brad holds Franks book A WEREWOLF REMEMBERS (Larry Talbot's testimony!). 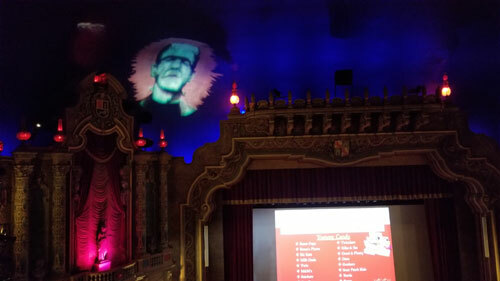 Above: Projected on the ceiling of the theatre, a gel of the Frankenstein Monster done by The Palace's ace lighting man, Adam! 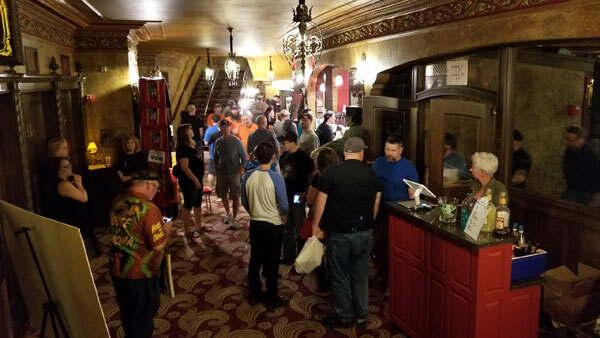 Above: Rabid classic monster fans begin to fill the lobby during a film intermission. The concessions did MONSTROUS business. Above: Down he comes.....to get you! Photo by Paisley Adams. 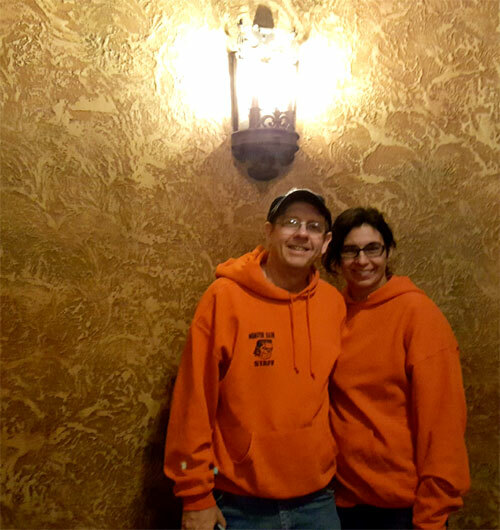 Above: Ron & Ursula Adams (Bash directors) celebrate their 28th wedding anniversary at MONSTER BASH OCTOBERFEST. Above: One of the many wall statues, lit for the occasion. What a beautiful theatre! 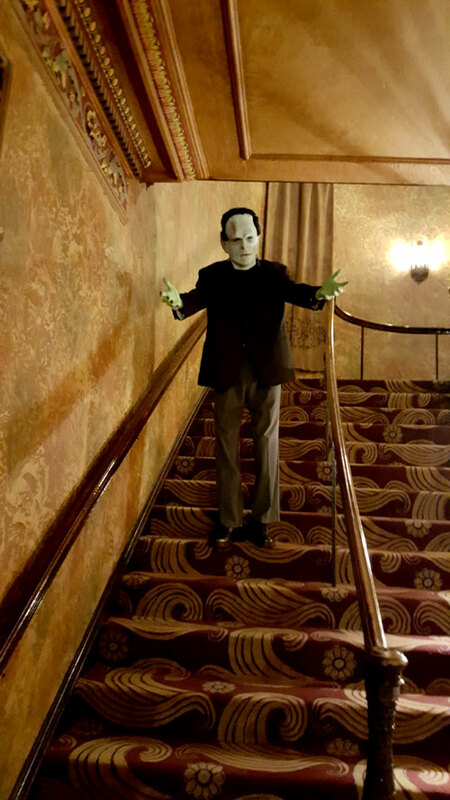 Above: Attendee Mark Wilhelm runs into an old friend outside the theatre. 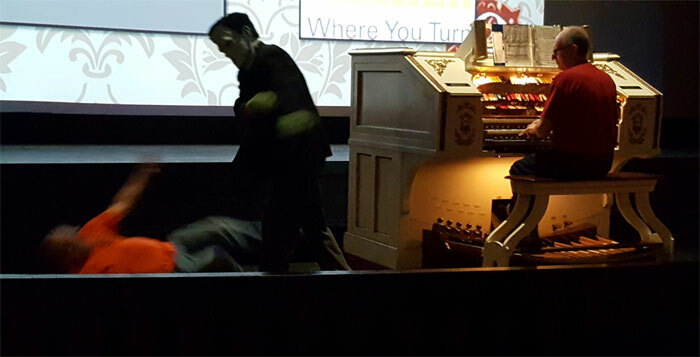 Above: The huge orchestra pit rose from below...at one point revealing The Monster (Dan Weber) choking the life out of a Visarian inn keeper (Bob Pellegrino). Organist, the great Jay Spencer. Above: The Monster demonstrates the body slam.